I live in Florida, but being a native Texan I was horrified when hurricane Harvey hit, concerned for family, friends, co-workers and everyone else dealing with such devastation from the storm. Hours were spent glued to the television watching the coverage, seeing posts on Facebook, Instagram and Twitter and imagining how we would feel if our home was flooded and all our possessions lost. It made me feel better that my employer, MMC, provided updates on their efforts to track and support colleagues impacted by Harvey and donated generously to relief efforts, matching employee donations as well. Then came hurricane Irma. I will confess that, especially after watching the coverage of Harvey, the thought of a hurricane that big and strong, on a path to hit almost all of Florida, was very frightening. At the same time, I got to experience first-hand just how much MMC does to support their employees. They tracked every single Florida employee (and there are a lot of us!) before, during and after the storm to find out who evacuated, whether we were able to return home, if we had power, if our home was damaged. Most of the tracking was done via text messaging from our business resilience team, supplemented by email and phone calls from the leader of our Florida operations. 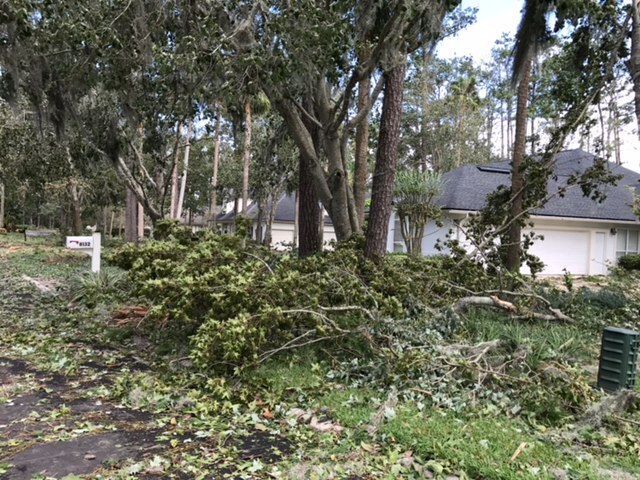 Those dealing with storm damage were offered assistance with filing claims; the most severely impacted could even apply for financial help from MMC. My husband and I left our home with our two 50-pound dogs before the storm hit fearing the worst. We were lucky. No damage. Power was restored in two days. And I had something else to be grateful for: Knowing my company was so willing and able to help when disasters strike. It makes me feel even more loyal to MMC -- and that is saying something for an employee with 30 years of service! I’m sharing my story to demonstrate the importance of having a disaster plan, but also to give props to a great employer. P.S. We are always hiring - check our web site for career opportunities.